This week’s roundup of apps is all about making stuff—movies, pictures, games, and even a better living room. What can’t your iOS device do? Already this week, Macworld told you about Read It Later’s reinvention as Pocket, an app that lets you save online multimedia for later viewing. The popular Draw Something app was updated with new features, including an in-game chat option, the ability to share your drawings, and an undo feature. Dan Moren brought you news of minor updates to iBooks and Cards. And of course we offered app guides for users interested in The Avengers—including the new Stan Lee-narrated apps Avengers Origins: Assemble! and Avengers Origins: Hulk—and drawing on their iPads. Also this week, the Runmeter exercise app was updated with iCloud data storage and a wider variety of included fitness plans. And Thursby’s PKard Reader made its debut, an app that lets government employees, for example, view secure webpages on their iOS device after they’ve swiped their security card through PKard’s reader. Google Play Books: While the digital reading realm has been dominated of late by litigation involving Apple, Amazon, and the major publishers, Google has been quietly updating its free Google Play Books app as an alternative to the ruckus. 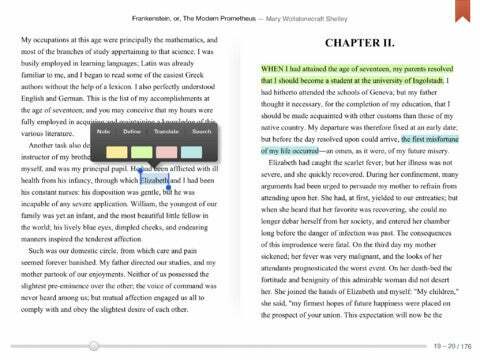 This week’s version brought new features, including the ability to bookmark a page by tapping the upper right corner, along with highlighting and note-taking options. More intriguingly, the app can also translate the book you’re reading into more than 50 languages. There’s also a social element, with a new +1 button that lets users share information about the books they’re reading—to Google+, naturally. Lego Super Hero Movie Maker: When we were growing up, the only way you could play with Legos was to, well, actually play with Legos. Give the toy-maker credit for figuring out how to enter the 21st century and become popular in the video game realm. 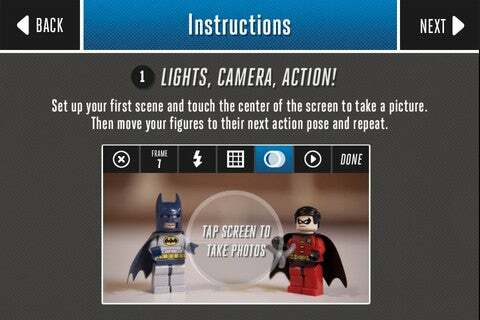 Now the company’s trying to enter the video-making realm with its free Lego Super Hero Movie Maker app. The offering lets you make stop-motion movies with your real-world Lego toys—although, really, you could use those stop-motion features on any subject you like. The effects and title cards, though, are oriented toward storylines featuring DC Comics superheroes like Batman and Superman. Now you don’t have to rely on a game to do it for you: You can make your Legos come to life. MagicPlan: Of course, iPhones and iPads can help you do more than read great books and make cool movies. You can use them to make real stuff! 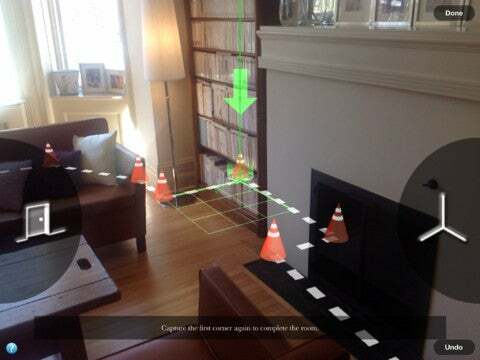 Sensopia’s free MagicPlan app lets you create detailed floor plans of your home by using your iOS device’s camera to capture images of the rooms you want to improve; you then use those images to measure the dimensions of the room and create an accurate drawing of the layout. This week’s update improves on the room-capture features—making it easier for the app to distinguish doors and hidden corners—and also includes a new Retina-friendly interface for the iPad. You can export the floor drawing in PDF, JPG, or DXF format. 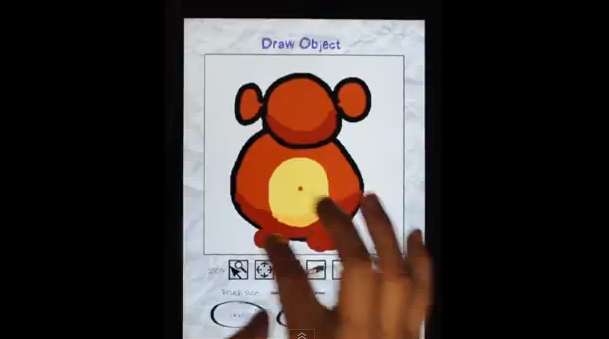 Sketch Nation Studio: Draw Something has become a huge hit by letting players use their artistic skills to win games. The free Sketch Nation Studio application lets you use your artistic skills to create games. You can draw characters within the app—or on paper, captured with your iPhone or iPad’s camera—then customize the game play. (This video shows how.) The intriguing part: If developer Engenious Games likes your game, it could publish the title as a standalone app and split the revenues with you (after Apple takes its 30 percent cut). 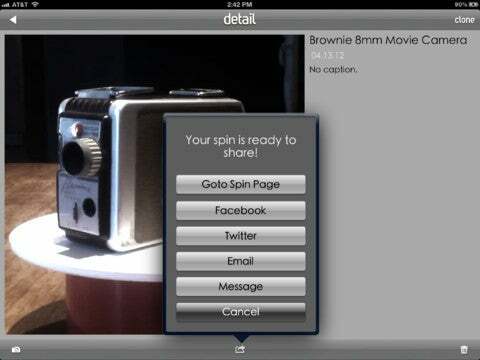 That may not be a model for serious game developers, but artistic gamers who want to stick a toe in the field may find this app an easy way to do so. Updated on 4/23 at 12:35 p.m. PT to clarify that Runmeter plans are available for free, not as in-app purchases.